Alcohol addiction is a disease and it can be different from one person to another. This disease can become more serious and affect the both physical and mental health over time. Signs and symptoms of alcohol addiction include strong urges to drink alcohol, an inability to reduce alcohol intake, tolerance to alcohol. Also, some people with alcohol addiction experience physical withdrawal symptoms including sweating, nausea and shaking whenever they do not drink. Before discovering some of the best tips that can help you know how to reduce the alcohol cravings, you should be aware of the side effects of excessive alcohol consumption on human health. Actually, alcohol has been found to have negative effects on both physical and mental health. Some health problems caused by alcohol addiction include digestive problems, liver disease, sexual problems, heart problems, diabetes complications, bone loss, eye problems, weakened immunity, neurological complications and cancer. Besides, alcohol addiction is also associated with assault, accidental injury, increase in suicide and crime, property damage, and unsuccessful marriage. List of 15 Tips How To Maintain A Healthy Heart & Prevent Heart Disease Fast will show you some of the best tips that can help you maintain a healthy heart and simultaneously prevent heart diseases, so check it out! Almost all of people cannot overcome alcoholism without help. So, encouragement, family support and professional help are needed. Apart from professional help, dietary changes lifestyle changes, and home remedies can help you get rid of alcohol addiction and then enjoy a life of sobriety. 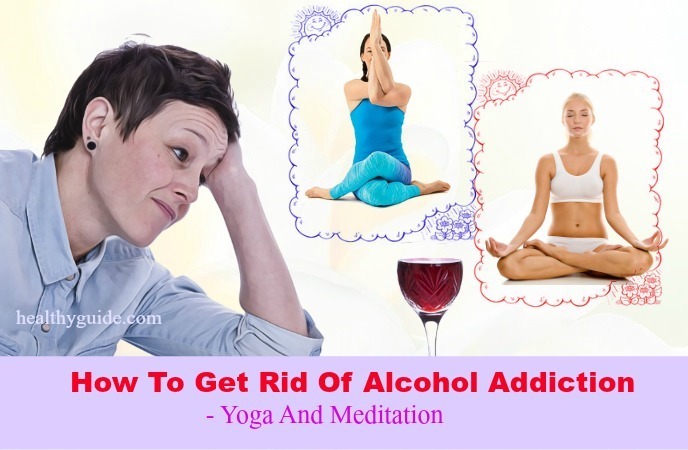 Yoga and meditation can be used to fight against alcohol addiction. Yoga helps to reestablish the connection between the mind and body while improving physical strength. Besides, it is also helpful when combating stress and emotional problems. Meanwhile, meditation helps relax the mind. Some yoga poses that can help deal with alcohol addiction are Corpse Pose, Knee-Hug Spinal Twist, Little Boat Hugging Knees, Butterfly Pose, Legs-up-the-Wall Pose, Seated Forward Bend, Child’s Pose and Sitting Mountain. This is another great way on how to get rid of alcohol addiction at home that we want to reveal in this interesting article. Dandelion can be used to treat alcohol withdrawal symptoms as well as the side effects of excessive alcohol consumption. Besides, this herb also helps in rejuvenating the liver tissues, improving the production of bile and enhancing its flow. Let it steep for about 5- 10 minutes. Drink 2-3 cups of this herbal tea daily for a few months. Follow this remedy 2- 3 times a day. Note: Consult a doctor before taking this supplement. The isoflavone compound called kudzu can help reduce alcohol-related hangovers. According to a study , a standardized kudzu extract can be effective in reducing the alcohol consumption. Take an extract that contains 30- 40% kudzu 2-3 times daily. Repeat this treatment for a few months. However, you also need to consult a doctor before taking this herb because it can interfere with the medications you are taking. Coconut oil is known as a great home remedy for alcohol addiction. Drinking in excess can lead to oxidative stress and insulin resistance, hence interfering with brain glucose metabolism. Luckily, coconut oil can help nourish the brain thanks to its antioxidants and saturated fats. Addition to this, coconut oil can be used to kill yeast in the body and reduce alcohol cravings. 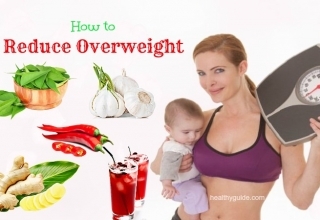 Moreover, this food is also effective in reducing cholesterol and maintaining a healthy weight. To use coconut oil as an alcohol addiction treatment, you just need to add some extra-virgin coconut oil to your cooking, drinks or smoothies. Read on Top 7 Simple Ways To Use Coconut Oil For Burns And Cuts On Face And Hands to discover some of the simplest ways to treat burns and cuts with the help of coconut oil. Celery works as a natural antidote, so it can be effective in treating alcohol addiction. Actually, it helps remove toxins from the body and simultaneously improve overall health. Simply, you just need to mix ½ glass each of celery juice and water. Then, drink it twice daily for a couple of months. 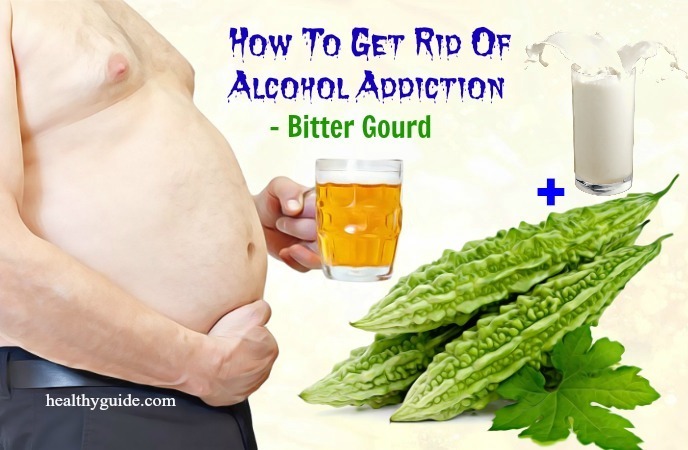 When it comes to learning how to get rid of alcohol addiction naturally, you can consider making use of bitter gourd. Actually, bitter gourd is known as a natural antidote that helps remove toxins from the body. Besides, it is also effective in healing liver damage caused by alcohol consumption. Extract the fresh juice from some bitter gourd leaves. Drink this mixture once daily when you have an empty stomach. Repeat this remedy for a few months. At the same time, add bitter gourd to your cooking. Dates help remove toxins from the body due to excessive alcohol consumption. Addition to this, consuming dates also helps reduce cravings and simultaneously makes up for lost nutrients. Leave them on for 1 hour. Then, remove these seeds and mash these dates in the water. Consume this brew twice on a daily basis. Repeat this home remedy for 1- 2 months. Apples can be used as a home remedy to cure alcohol addiction. They not only remove the toxins from the body caused by alcohol consumption, but they also help reduce the hard alcohol consumption. Actually, consuming apples is known as one of the best ways on how to get rid of alcohol addiction forever. Consuming grapes is one of the great ways on how to get rid of alcohol addiction at home naturally. Whenever you want to drink alcohol, eat some grapes or drink a cup of fresh grape juice instead. Grapes have substances that are used to make alcohol, so they can work as a great alternative for alcoholic drinks. Addition to this, grapes are high in potassium that helps balance out an alkaline blood. Also, they have cleansing power in flushing toxins out of the liver. This may sound strange when it comes to learning how to get rid of alcohol addiction at home, but it actually does work. Consuming a butter sandwich and salami on ciabatta bread can help absorb the large amount of alcohol from your body. This is worth mentioning in the list of great ways on how to get rid of alcohol addiction forever that you should try out! Ginseng can help break down the alcohol in the body and simultaneously remove the toxins from the body. Besides, ginseng has been found to reduce the alcohol absorption in the stomach. 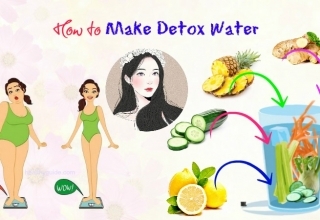 If you are looking for natural ways on how to get rid of alcohol addiction at home, you should not look down this herb, yet try to make use for good. Studies found that this herb can be used to reduce the symptoms of alcohol addiction. 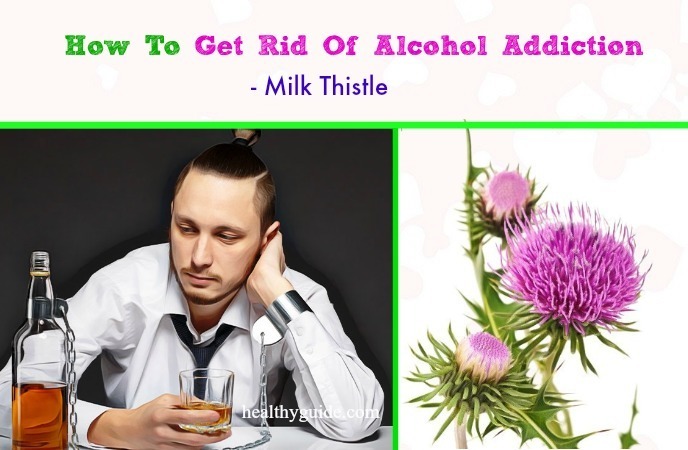 Milk thistle is a great home remedy for curing liver diseases caused due to alcohol addiction. 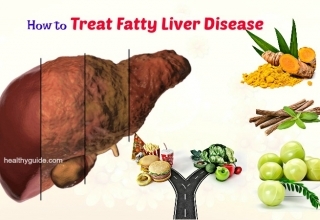 It helps improve liver functions and simultaneously curing the liver damage. 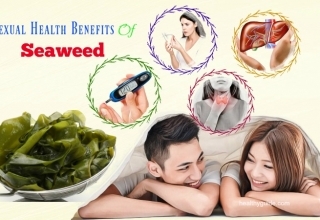 Working as a natural liver tonic, this herb contains an active ingredient called silymarin, which can help in curing the damage caused by alcohol addiction. According to a research , evening primrose is known a home remedy to prevent alcohol addiction. The oil taken from the evening primrose seeds can help reduce your cravings for alcohol. There are other great ways on how to get rid of alcohol addiction forever in this article. So, you should keep both of your eyes on this interesting article to discover these amazing methods and then try to apply any of them as soon as possible. This herb contains powerful antioxidants, which help improve the functioning of the liver and respiratory system. Also, it can be used as a great home remedy for treating alcohol addiction. This herb helps treat kidney ailments and problems in liver and respiratory tract. Addition to this, licorice root contains antiviral, antioxidant as well as antibody-stimulating properties, hence making it a natural detoxifier and a liver protector. This is another great way on how to get rid of alcohol addiction naturally that you should try applying at home. Eating salty foods including peanuts and potato chips with large quantities can make you thirsty, hence making you drink more. Besides, you should drink wine or beer in moderation if you want to keep your body healthy. 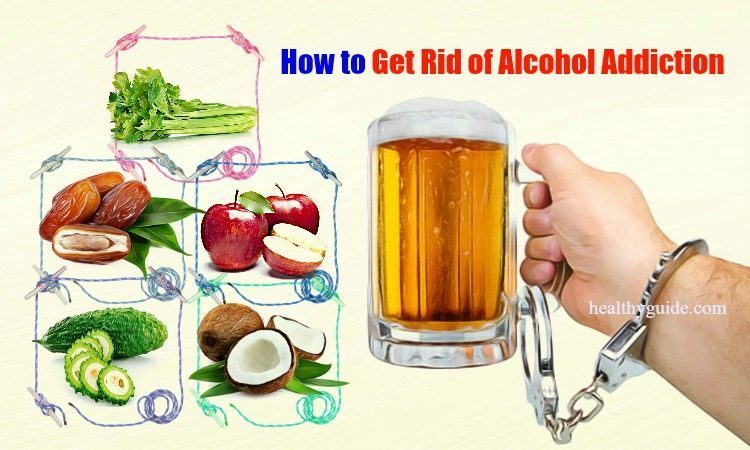 If you are looking for a simple way on how to get rid of alcohol addiction forever, you should try to apply this trick. Instead of drinking alcohol rapidly, you should sip it slowly and divide the cup of alcohol into a few small servings to sip. Generally, the body can digest 35-40ml of alcohol per hour. And, if you drink it slowly, you will not be drunk. To protect both of your stomach and liver, you need to limit your daily alcohol consumption as soon as possible. 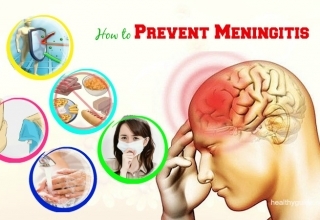 Also, keep in mind that you should not use high alcoholic concentration drinks. You should try not to drink alcohol 4-5 days per week, and gradually stop drinking it. Also, you should remember that drinking alcohol when you have an empty stomach can be harmful for health. According to a study , it can lead to pain, bleeding, vomiting and the development of acute gastritis. Just drink after getting meals in order to slow down the alcohol absorption in the body. If you are trying to stop drinking, tell your family members and friends the reasons why you decided to do that. By doing that, they will be able to help you put down alcoholic drinks whenever going out. Also, you should regularly remind yourself and people around you of the reasons why you need to keep away from alcohol. This will help keep you on track, and simultaneously encourage them to stop drinking with you. Regular physical exercise can help reduce the effects of alcohol addiction. It helps prevent loss of cognitive function and brain damage. Besides, exercise can also help keep the body healthy, improve mood, reduce stress and depression, improve night’s sleep and simultaneously reduce cravings. So, when you are battling alcohol addiction, try to include exercises like running, biking, swimming, brisk walking or aerobics in your routine. This is another great way on how to get rid of alcohol addiction that you should not skip. Some heavy drinkers have found acupuncture to be a great way for reducing cravings and preventing relapse. Besides, according to a research , acupuncture also helps reduce depression and anxiety, which are known as two main factors for excessive drinking. 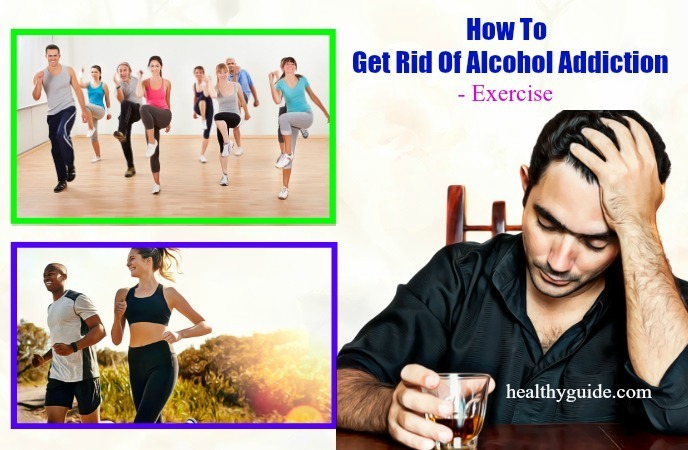 This is the last but very important one among great ways on how to get rid of alcohol addiction forever that we want to mention in this article. Diet plays a vital part in the ability to reduce effects of alcohol addiction. 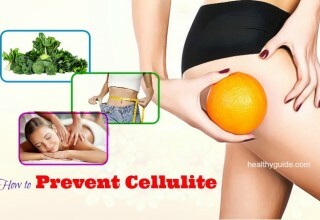 It helps reduce appetite and the ability of absorbing nutrients. This is the reason why most of the heavy drinkers have nutritional deficiencies. The body requires many nutrients to overcome the negative effects of alcoholism. Consume foods that are rich in vitamin B12 to stop alcohol cravings and improve liver functioning. Consume foods that are rich in vitamin C to reduce alcohol cravings and improve brain functioning. Consume foods that are rich in amino acids to improve the mood, hence helping break the addiction cycle. Consume cereals, whole-grains, fresh veggies and fruits as well as other fiber-rich complex carbohydrates to keep the blood sugar levels stable, hence helping reduce alcohol cravings. Avoid consuming sugar and caffeine because they can lead to the urge to drink. Avoid socializing with family members and friends who drink a lot. Have 6-8 hours of night sleep daily. Drink plenty of water to help recover the body and prevent dehydration. Listen to music to relieve anxiety and stress. Avoid smoking because nicotine  present in tobacco can increases cravings for alcohol. 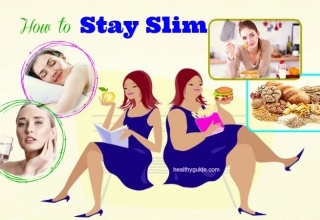 Actually, all of the methods as mentioned on Healthy Guide can help in reducing alcohol cravings and reducing the side effects of excessive alcohol consumption. Therefore, if you or your loved ones are suffering from alcohol addiction, you can consider applying one or more of these natural methods. Also, if you know other effective ways on how to get rid of alcohol addiction naturally at home, feel free to share them with other readers by leaving your comments in the comment box below.